Here is a cute freebie to put up in your speech room! 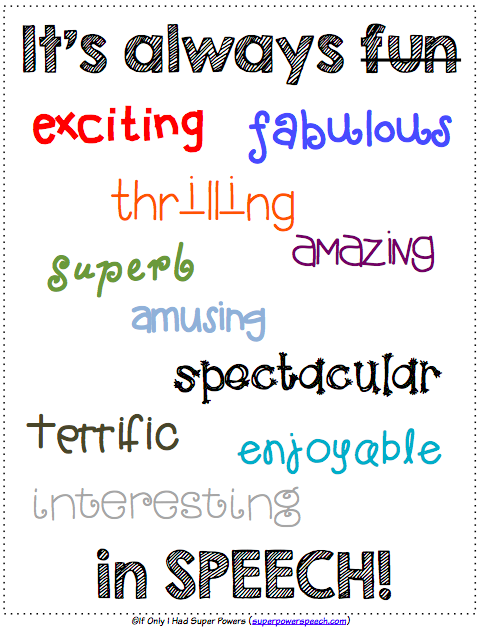 It is a great reminder about synonyms AND how awesome speech therapy really is! Click here to find out more about this freebie!